Is there anything better than watching football and eating pizza? In fact there is: football and pizza topped off with Tabasco. 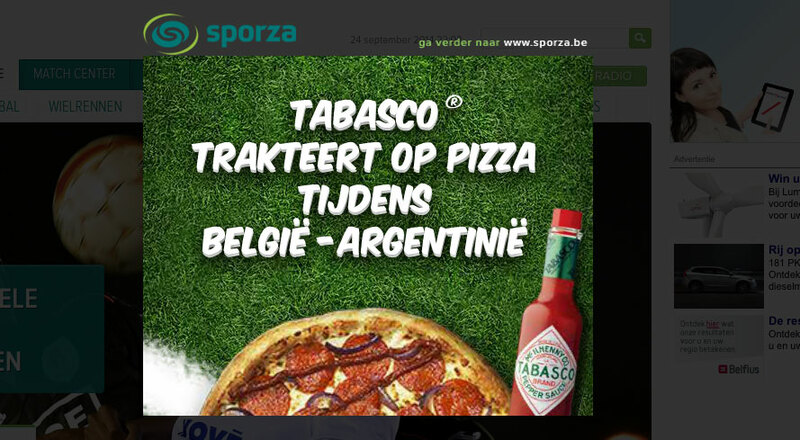 That’s what Tabasco wanted to communicate to young Belgian men. 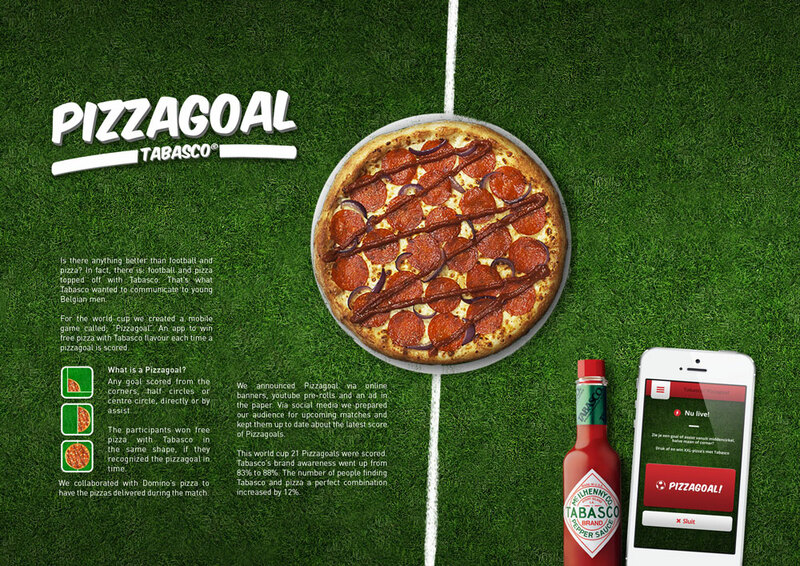 An app to win free pizza with Tabasco flavour each time a pizzagoal was scored. ‘What is a Pizzagoal?’, you may ask. A true pizza-fan easily recognizes pizza-shapes in the corners, the half circles and the center circle of a football field. Scores a football player from one of these shapes, directly or by assist? That’s a Pizzagoal! 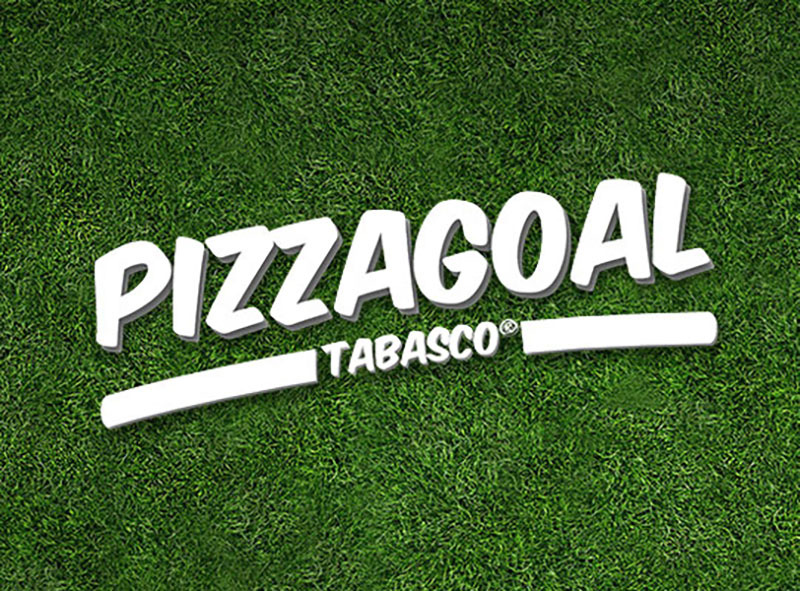 If the participants pushed the pizzagoal-button in time, they won free pizza with Tabasco in the same shape. We collaborated with Domino’s pizza to have the pizzas delivered during the match. We announced Pizzagoal via online bannering, youtube pre-rolls and an ad in the paper. Via social media we prepared our audience for each match and kept them up to date about the latest score of Pizzagoals. 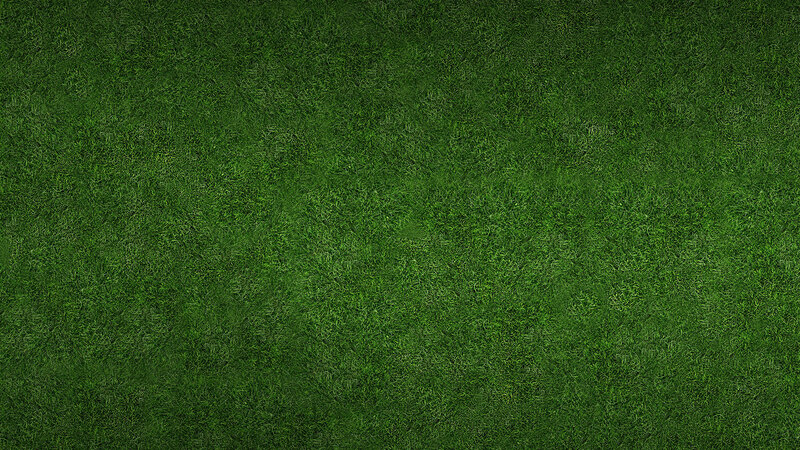 This world cup 21 pizzagoals were scored. 13 from the corners, 6 from within the half circles and 2 from the center circle. Tabasco’s brand awareness went up from 83% to 88%. The number of people finding Tabasco and pizza a perfect combination increased by 12%.